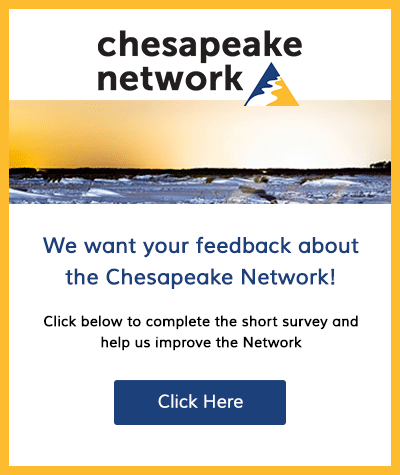 The Chesapeake Bay Foundation seeks a Keystone 10 Million Trees Partnership Manager, which is one of three components of CBF’s broader Making History campaign. 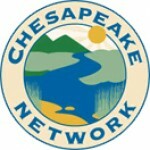 This position is based at its PA State Office in Harrisburg, PA.
CBF’s Making History campaign will provide the impetus for meeting the 2025 Chesapeake Clean Water Blueprint goals through three focused milestones: planting 10 million trees along streams, streets, and other priority areas in Pennsylvania, adding 10 billion oysters to the watershed, and galvanizing one million voices to speak and act for the Bay. The Manager position will help ensure the success of the Keystone 10 Million Trees Partnership by synchronizing creative strategies to serve and diversify the partners, funders, agencies, and other priority audiences. The Manager will also be a key internal CBF point person to ensure Pennsylvania campaign activities are effectively coordinated with CBF headquarters in Annapolis MD. The position will report directly to CBF’s Pennsylvania Executive Director with a strong secondary reporting relationship to CBF’s Making History Campaign Director based in Annapolis, MD. o Organize, collaborate, and coordinate local/regional partners for seeking public and private funding opportunities. o Ensure routine engagement and collaboration with partners. o Coordinate with other partners to ensure standardization and utilization of partnership procedures, where applicable. o In collaboration with CBF’s Pennsylvania Watershed Restoration and Outreach staff, ensure timely and efficient Partnership tree plantings. o Cultivate strategic participation with a diverse array of conservation/wildlife/recreational groups, professional associations, civic organizations, industries, businesses, local governments, and other priority entities. o Collaborate and coordinate in the creation and implementation of endeavors and activities that engage CBF membership, volunteers, and donors. o Collaborate and coordinate in the creation and implementation of products and materials which increase Partnership brand recognition. o Coordinate with strategic partners and agencies to create and implement collaborative endeavors that promote the goals of the Partnership. o Develop and maintain consistent coordination and collaboration with multi-departmental CBF Pennsylvania and headquarters staff, including regular meetings with headquarters-based Campaign Director. o Ensure tracking and reporting of activities, deliverables, invoicing, logistics, and other metrics. o Develop routine reports and updates for internal and external audiences, partners, funders, and others. o Coordinate and collaborate on the creation and refining reporting and technical support tools to document and facilitate the work of the Partnership. • Experience in engaging and collaborating with a diverse array of individuals and organizations. • Strong organizational skills, with demonstrated experience in logistical planning, coordination, and execution. • In-depth understanding of Pennsylvania’s culture, economy, governmental structure, and conservation community. • Demonstrated presentation, writing, and communications expertise. • Experience with database management a plus. • Minimum of a Bachelor’s degree required. To apply, please send application through job posting on CBF website no later than August 31, 2018.